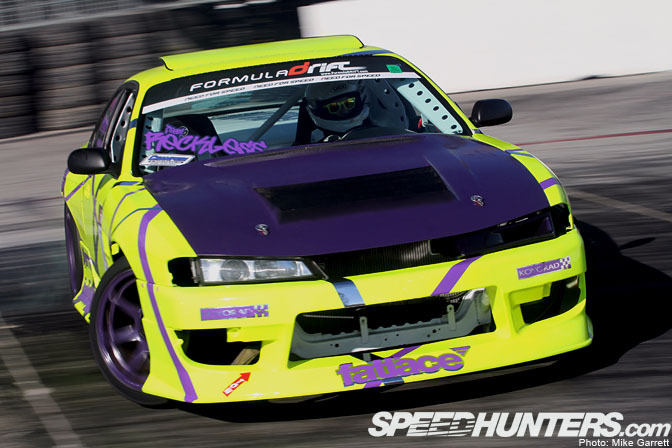 Those who attended Formula D Long Beach this past weekend witnessed the awesome driving of sponsored driver Matt Field! See the rest of Matt's photo gallery HERE. 6th Annual JCCS 2010 Photos! Koyorad was able to attend the 6th annual JCCS 2010 at the Queen Mary in Long Beach this weekend. Take a look at the various discerning Japanese classic car owners who have chosen Koyorad! Yuta Akaishi was also in attendance having installed Koyorad's brand new R022352 radiator for his Datsun 240Z! Koyorad Japan Support Drivers and Series Results. Follow the link for more information of your favorite drivers! All Star Bash X - Photos are up! Over 230 Photos are now available HERE.